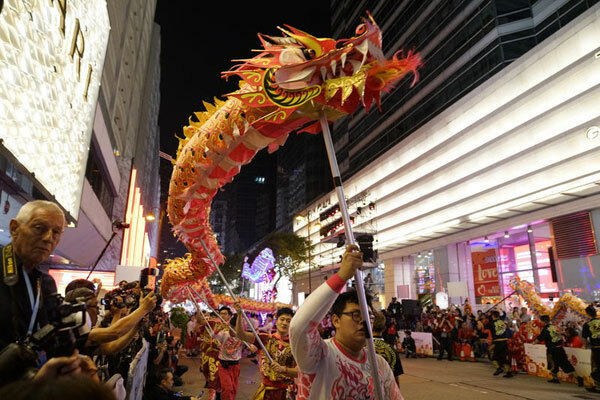 The Chinese New Year is the highlight of the Hong Kong Cultural calendar. It’s a time of lavish fireworks, a world-famous night street parade, elaborate banquets and glittering illuminations. Symbolizing prosperity and unity, while invoking good fortune for the year ahead, this festival is cherished and celebrated across the city. 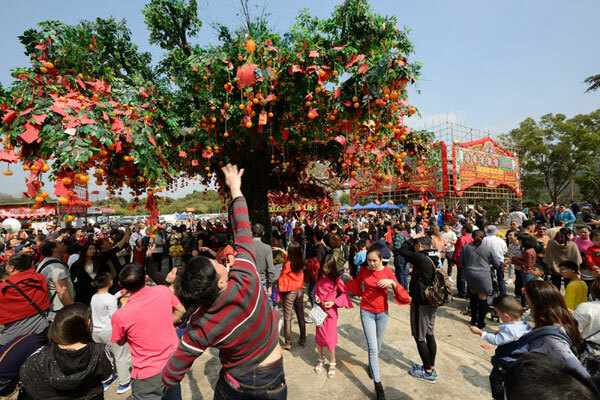 In the weeks leading up to the event (which takes place Feb. 5-8 this year, ushering in the Year of the Pig) Hong Kong is abuzz with activity as people prepare for the holiday and visitors can catch the atmosphere. Visitors do not have to look hard (or at all) to find a lion dance, a colourful, noisy and athletic display aimed at frightening away evil spirits and bringing good luck. Many hotels have a lion troupe performing in the lobby while, in the traditional villages, the troupe moves from house to house in the rhythmic ceremony. Everywhere there will be glorious flower arrangements, firecrackers, red and gold envelopes containing good luck mottos and money, and a wide variety of sumptuous banquets especially created for the festival. For more, go to www.DiscoverHongKong.com/ca .